2. 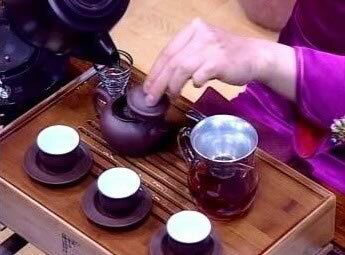 When prying leaves from a tuo, cake or brick, try to remove layer by layer and avoid breaking the tea leaves too much. 3. 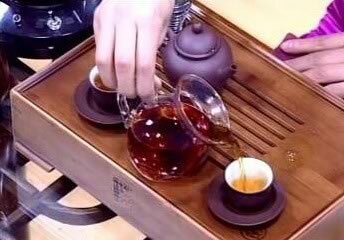 While water is boiling, add 3-5 grams of tea leaves to your tea pot. 4. 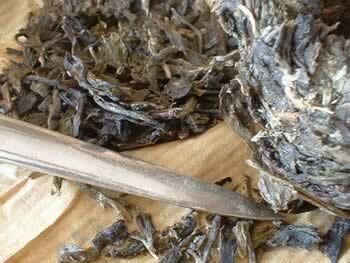 Wash tea leaves 2 times for period of about 5-10 seconds each time. 5. 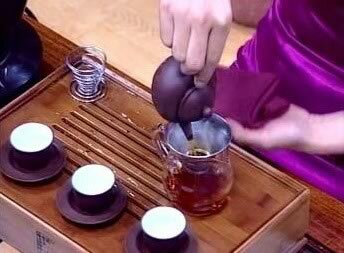 The first two infusions wash the leaves and prime them, pour away the tea water, or use the tea water to wash cups. 6. The third infusion is to be drank. 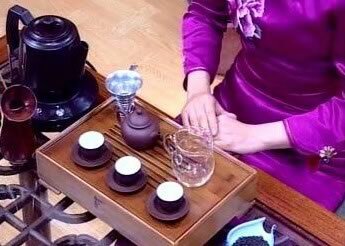 Use a small strainer to catch tea leaves before they enter cup. 7. The 3rd to 10th infusions don't require long infusions times, 5-30 seconds will be OK (depending on how light or dark you want). 8. Pour tea water into small cups for drinking. Repeat step 6, 7, 8. 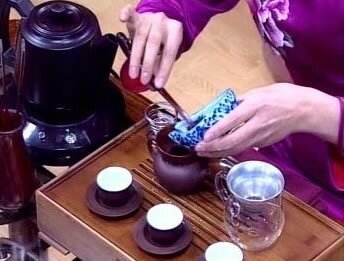 Pu-erh tea usually can be infused anywhere between 10 - 20 times. Keep the storage space free from odors. Do not use unsuitable packaging materials wrap the teas. Breathable packaging is suitable for aging, just keep it in original factory packing is fine. Maintain a proper air flow. Do not keep it in a damp musty basement. 70% humidity is a good target. Avoid high fluctuation of temperature.